Offers silent pneumatic suspension at most affordable pricing. Mounted on a 23" diameter, black thermoplastic, 5-point base. 2" twin wheel polyurethane casters. 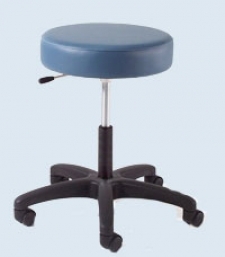 A fixed footrest is available at additional cost, item 004.